Be a Martial Arts Athlete. Train and workout with top martial arts pro athletes and get access to 100's of martial arts training videos and tutorials inside the app. Earn badges, rally points and analyze your daily training activities on our leaderboards and charts. Join our worldwide team of athletes, be inspired and have fun. The most innovative and largest martial arts training lab in the world. Start your martial arts training and take our bully defense course. 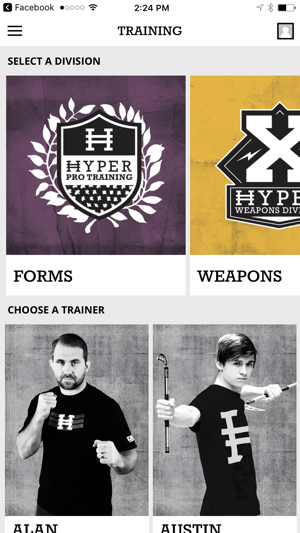 Train and workout with top martial arts pro athletes in Forms, Weapons, Sparring and Tricking. Now you can train anytime, anywhere and on any device. 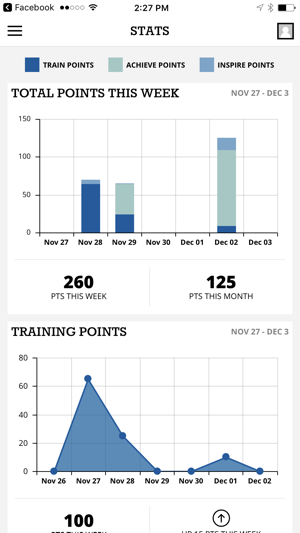 Earn badges, accumulate points and analyze your daily training activities on our leaderboards and charts. Be #1 in your school, your region, and the world. Be inspired by daily pro athlete insights, inspirational mindsets, training music and connecting with our worldwide team of athletes. Get Your Motivational messages, weekly workout challenges and quick access to all the main areas of the app. 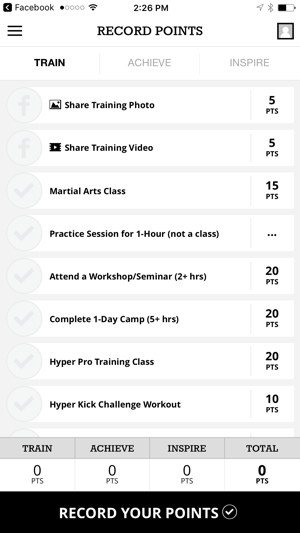 Record Your Daily Martial Arts Training Activities. Accumulate points for Training, Achievements and Inspiring Others. Share your Martial Arts related photos and videos on Facebook to earn extra points. 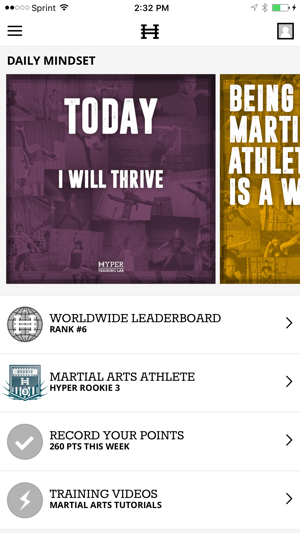 Record points to analyze your daily training activities on our martial arts athlete charts. Evaluate your progress in training, achievements and inspiring others. See daily, weekly, monthly and yearly reports. 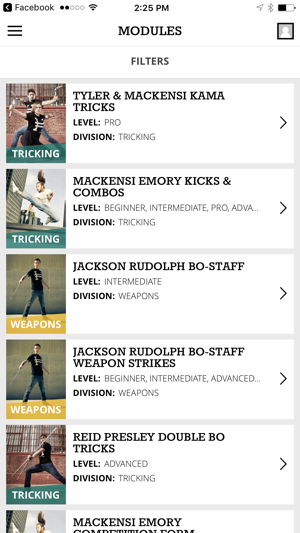 Earn multiple types of badges on your journey to being a pro level martial arts athlete. Share your badge success on Facebook. Be the #1 martial arts athlete in your school, your region, and the world. Earn recognition for training, your achievements and inspiring others. Watch tutorials, insightful videos and follow along with top martial arts pro athletes in Self Defense, Forms, Weapons, Sparring, Tricking and Bully Defense. They show you the techniques and have you follow along with them slowly as you learn each combination step by step. Join our team and have fun on your journey to being a pro level martial arts athlete. Anyway, when I went to login with fb like I always do it said I had a “unauthorized account” and I couldn’t log in. Tried this a few times and then hit the forgot password button which took me to your site and when I typed in my email it said permanent error and it couldn’t retrieve my stuff. At this point I freak out. I’ve bought a lot of form videos and I don’t wanna lose them! I uninstalled and reinstalled and it works now but just a heads up. For those students already experiencing all the wonderful benefits that Hyper pro training and Hyper fight club offer... this is a fantastic way to maximize your training when you're not at the dojo! I only wish we had tools like this 15 years ago. 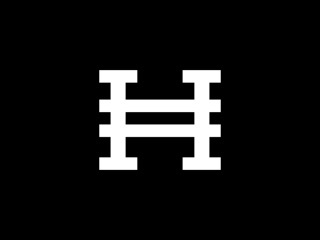 I am consistently impressed with Hyper martial arts ability to keep raising the bar.